-Hollie L. Moody (Sept 7, 2002). Recently, I experienced a vision of myself in a little wooden boat, out on the sea, with the Lord in the boat with me. As the Lord and I were in this wooden boat, there were many conversations and visions the Lord shared with me. Some of these conversations and visions were for me personally. I had to pray through them and apply them to my life. The rest of the conversations and visions were for God’s children, to be shared with them as the Spirit led me to share them. They weren’t to be shared all at once because of the length of this vision (it occurred over a series of weeks and months). I also was instructed by the Holy Spirit to not share with others the remainder of these conversations and visions until the Lord released me to do so. I have felt this week to begin to share the remainder of these conversations and visions the Lord revealed to me while He and I were out to sea in the little wooden boat. Knowing how and when to proceed to share these things has been difficult. I have proceeded cautiously and with much prayer and fasting. I pray that those of you who read these words, do so prayerfully. May each of you have ears to hear what the Spirit is saying. As the Lord and I were in the little wooden boat, a storm arose against us from the East. In the natural, there’s nothing I love more than a thunderstorm. This storm, however, was extremely unsettling to me. I sensed it was not only a storm in the natural realm, but in the spiritual realm also. I felt there were actual demonic influences working in and through this storm. As I looked closer into the storm, I began to see the shapes of the demons I had at first only suspected were there. To my surprise, these demons were wearing clothes pertaining to religions and religious denominations from all the nations of the world. Some of these items of clothing appeared to be of the occult. “This is a perverse spirit of religion,” the Lord said to me. “A wave of false religion is being unleashed against your nation and all the nations of the world. At first, it will give the appearance of being Truth, or being new revelations coming from Me. “There will be a tremendous interest generated into all things spiritual. There will be a revival both of that which is Truth, and that which is false. This will be closely followed by attacks against that which is truly the Truth of My Word. The Lord and I watched as the storm of demons swept past us. I was able to somehow see as this storm of perverse religious demons struck and entered every nation of the world. Even though the storm of demons had left the Lord and I, the water our little wooden boat was upon continued to churn. Suddenly, I saw the head of a large golden dragon push itself up out of the sea. I had seen this dragon in previous visions, and recognized it. The Lord and I watched silently as the dragon emerged fully from the depths of the sea. The dragon was floating upon the surface of the water. I could see that its tail was extremely long. Its tail had coiled around many nations of the world. I saw with horror that the golden dragon’s tail was also partly in my nation and was beginning to try to coil completely around my nation. I then noticed the talons of the golden dragon. These talons were long and sharp and were plunged into the midst of many nations. I saw the tip of one of the dragon’s talons embedded in my nation. The dragon was trying without appearing to do so to embed more of its talons into my nation. Even though they were aware that the dragon was in their midst, few of the nations seemed to comprehend that they were under the complete control of this golden dragon . “What is this golden dragon?” I asked the Lord. “It is the spirit of a nation,” the Lord replied. “Which nation?” I asked the Lord. “China,” the Lord answered me. “China has for the most part been working in secret and unseen ways,” the Lord continued. “With China, there is always more than is at first apparent. At this time, China has made pacts with the enemies of your own nation and also of other nations. They are and have been secretly training and financing these people. These people are unaware that they are only a tool and a pawn in the hands of China. They are dispensable to China and she will not be loyal to them when that need arises for them to have her aide. “China has already placed many influential people in your country and also in other countries as sources of information. The spirit of China is a very real enemy to your nation. I would have My children to be alert and prayerful to every move China makes in the coming days,” the Lord said to me. “Behold!” the Lord said to me and pointed into the distance. I looked to where the Lord was pointing and realized that it was the nations of the Middle East. I saw the nation of Iraq as if it were a giant booby trap. “Your nation will initiate attacks against Iraq,” the Lord said to me. “These attacks will begin a series of world wide collapses. There is much opposition to an attack and invasion against Iraq, but the opposition will greatly lessen when Iraq begins a series of actions that will be extremely troubling to many other nations. This matter is ordained of Me,” the Lord continued. 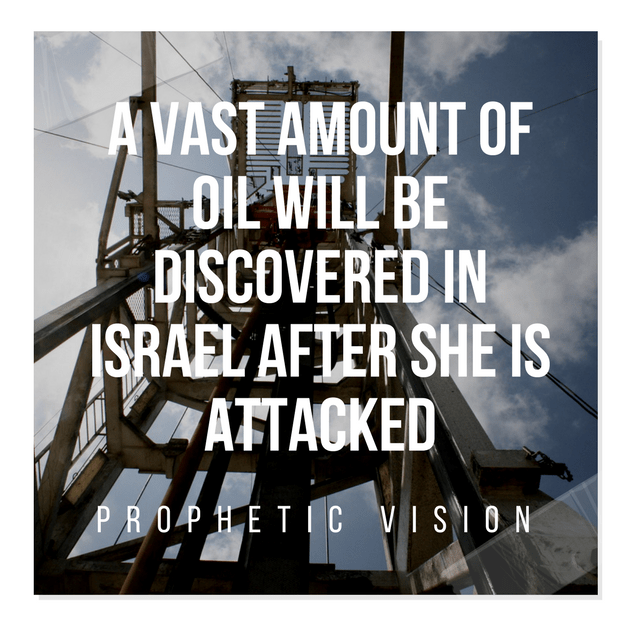 I then saw a large angel began to pour the bottle out over Israel. I saw as a clear, thick substance came out of the bottle. When the substance struck the ground of Israel, it changed into a thick, black substance. “What is this substance?” I asked the Lord. By this time, the little wooden boat the Lord and I were in had reached the shore. As we got out of the boat, I saw that the other little boats that had been with us were also pulling up to shore. Many of the people who got out of their boat were weary. They appeared completely demoralized and depressed. Many of them simply collapsed onto the shore after getting out of their boats. I watched as two groups of people began to form. One group began to walk away from the beach. They were weeping and praying as they went. I saw that this group of people was warriors. The other group of people began to gather around those who were collapsed on the ground. I watched as they began to minister to and comfort each person on the ground. After a time, they encouraged the person they were with to get back to their feet. When the person was finally able to stand to their feet again, the person who had been with them to minister to them, put their arm around that person. I saw that they were actually keeping that person from falling again by having the person lean fully upon them. “There is a need right now,” the Lord explained to me, “for many of My children to be comforted and encouraged. They are weary and frightened by many of the things happening around them and to them. They have been under severe and constant attacks and are in danger of succumbing to those attacks. I need many of My children to gather around these weary ones and sustain them with their prayers and presence. This is a time to comfort those who are in mourning. “Many of My children are weary, and even disgusted and disbelieving, of the many warnings that have been going forth,” the Lord said to me. “They are wearied of words of judgment, and are angry at those who utter them. These words are given to prepare My children for the coming evil days. They are not given to destroy My children. I watched as the second group of people began to follow after the first group of people. I began to hear the sounds of a tremendous array of voices. I saw lightning and heard loud thunder. The earth beneath my feet was moving and splitting wide open in places. I became aware of small paths of light that were guiding these groups of people. These paths of light were cutting through the intense darkness of the world.